This post was first published by Croydon Advertiser on 17/03/2018. Roger Wade says public money invested in the project is safe. The founder of Boxpark says he is tired of the unique venue being “used as a political football” and says that public money invested in the project is safe. He has said that he venue is not the work of an exploitative developer but a part of the community. Roger Wade, CEO of Boxpark, has said he has no interest in local politics and assured doubters that the loan granted to his business by the Labour-run Croydon Council will be paid back in full. 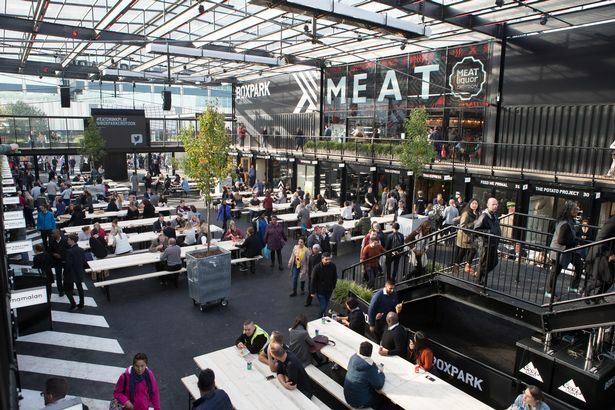 There had been concerns that the £3million loan given to Boxpark by the council might be in jeopardy after a balance sheet showed the business had made a £500,000 loss in its first six months of trading. Mr Wade has hit back at these fears and said that the money is being repaid and that he is not prepared to play political games. He said: “We are being used as a political football. We are supported by Labour, and we are used to have digs at that administration. Around £3m was loaned to Boxpark by Croydon Council to aid its opening in October 2016. Accounts filed on Companies House for the 2016/17 financial year, showing that for the first six month trading a £500,000 loss made by Boxpark. They also show that as of April 1, 2017 Boxpark owed around £2.5m to creditors (which is more than its net assets) and had £1.3m in liabilities. CEO Mr Wade has spoken out to allay any fears about the repayment of the loan and said the financial situation to planned for. He said: “We are paying back all of our loan. With a project like this it is difficult to get a commercial loan. “But we are paying commercial rates on this loan. We have put a seven figure sum into this place as well. “Our profit and loss has all been based around breaking even after a five-year period. “Sometimes I can’t understand some of the comments criticism. We are not a developer who has come into Croydon, made some money and run off. “It’s not going to be a walk in the park. But we want to be here for five years, then even longer after that. “We are running, actually, at about 80% occupancy with a 20% vacancy. I think we’ve had around a dozen leave us, and four new people come in. “We planned for that. You don’t invest £5 million and expect to immediately start making money.